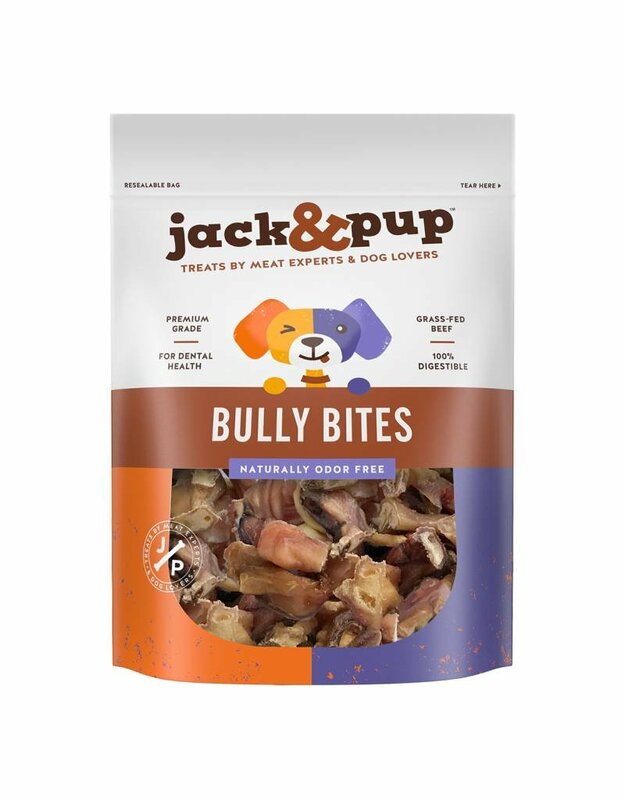 VARIETY OF SIZES & SHAPES – Jack&Pup Premium Grade Bully Bites Dog Treats is a natural, low-fat and protein-rich, one-ingredient dog chew, being 100% beef muscle without any fillers, additives or artificial ingredients. 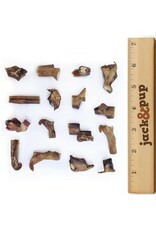 Made from chunks of fresh bully sticks in a variety of shapes and sizes; from one (1) inch to 3+ inches. 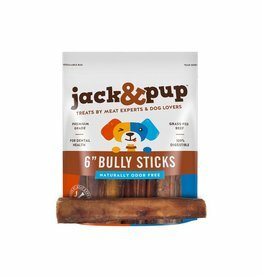 Keep your dog occupied for many hours, while chewing away on this savory beefy and flavorful dog treat! 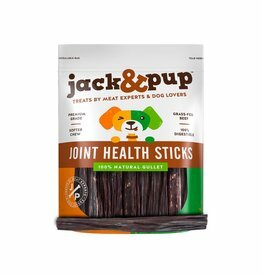 TOP QUALITY & HEALTHY – Sourced from grass fed, free range cattle, raised without any added hormones or antibiotics, resulting in a healthier and better tasting treat. 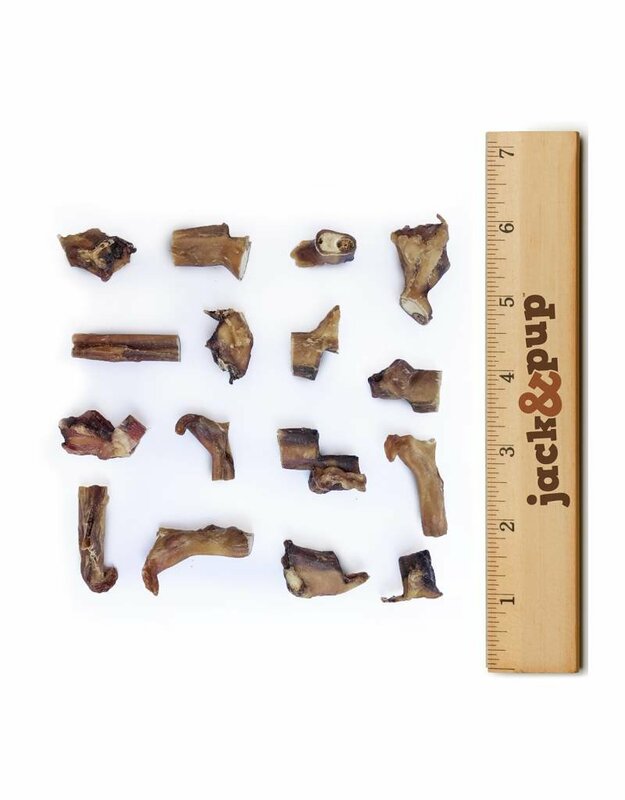 Processed in a USDA Human Grade Certified and Inspected facility. 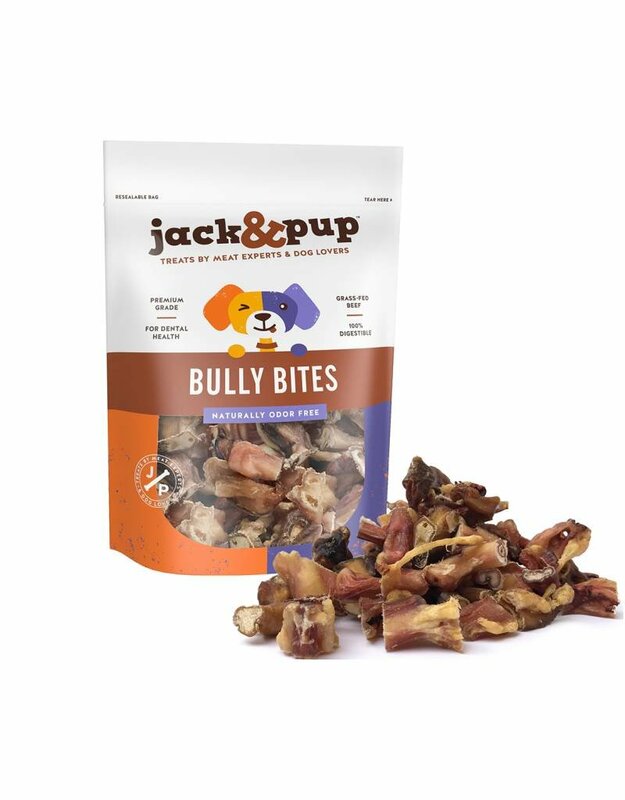 Your canine will enjoy its’ delicious and fresh meaty flavor! 100% DIGESTIBLE & SAFE – Guaranteed to be fully digestible and guaranteed not to cause any side-effects. Our careful and natural preparation effectively eliminates all bacteria and contaminates; making its’ consumption fully safe. SUPPORTS HEALTHY TEETH & GUMS – Effectively removes tartar build-up, removes plaque, strengthens gums and promotes an overall enhanced oral health. 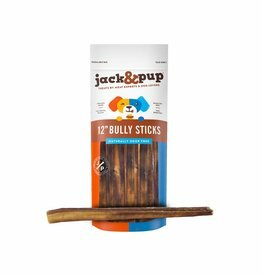 Helps keep dog’s teeth healthy and sparkling clean. 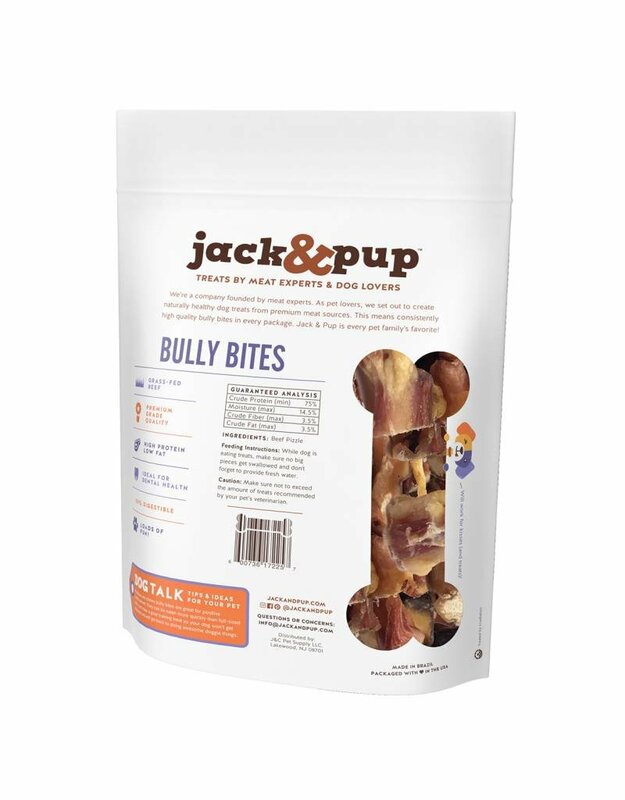 NATURALLY ODOR FREE & FRESH – Jack&Pup Premium Bully Bites are carefully prepared by boiling, roasting and smoking; then drying in a slow process. 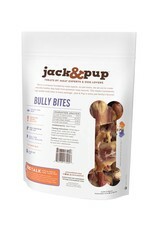 The multi-step process effectively locks-in the natural beef flavor resulting in an enhanced richness that dogs love. 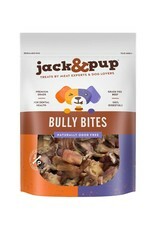 At the same time, the propriety process naturally eliminates all odors, without the use of any additives or chemicals. 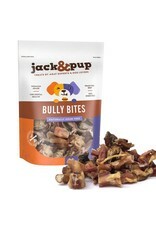 Stays fresh longer without any added preservatives.